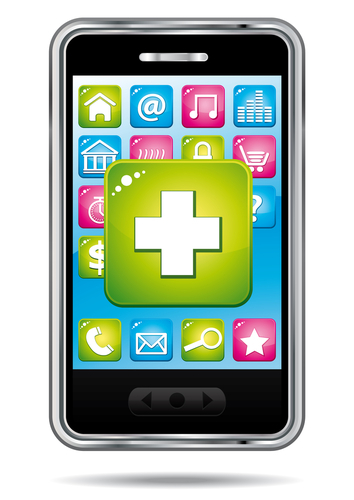 It’s estimated that by 2017 mobile healthcare, or mHealth, will be worth more than $23 billion worldwide. The United States is expected to make up nearly a quarter of all mHealth spending at that time with $5.9 billion. The growth of mHealth may not only be useful and more efficient, it may prove to be necessary with the amount of doctor’s visits each year. According to a recent graphic, in 2011 there were over one billion visits to physician offices by Americans alone. Even with the expected growth in mHealth in the next five years, it remains difficult as with all technologies. Although around 80 percent of doctors now use smartphones, convincing them that they need mHealth applications may prove to be tough as the healthcare industry proves conservative and resistant to change. The healthcare field may be resistant to change, but advancements in technology may force the change. mHealth has many advantages and uses, and many consumers who have a smartphone may be using mHealth and not even realize it. Withings, a French start-up that designs, develops, and industrializes connected devices, offers Withings Health Companion, a free app that can monitor activity, sleep and weight loss. For an additional fee, Withings also offers wireless scales and blood pressure machines and even has a Smart Baby Monitor to constantly keep an eye on your little loved ones. A recent study done by Bonnie Spring, PhD, of the department of preventive medicine at Northwestern University Feinberg School of Medicine, concluded that a group of nearly 70 individuals using mHealth “had significantly greater odds of losing five percent or more of their baseline weight at post-baseline follow-ups.” With over 10,000 medical apps available to users in Apple’s iTunes Apps Store, users may be a part of the growth of mHealth and not realize it.